Asthma Instant Relief With Acupressure Points! "In short, it [Acupressure] provides maximum benefits without the dangerous side effects associated with many of the approaches of conventional medicine." √ You do not need to spend time visiting a doctor. √ You do not need to spend a considerable amount of money. √ There is no danger of being hurt or hurt your child, infected or experiencing pain. √ You massage the points gently with your own finger. 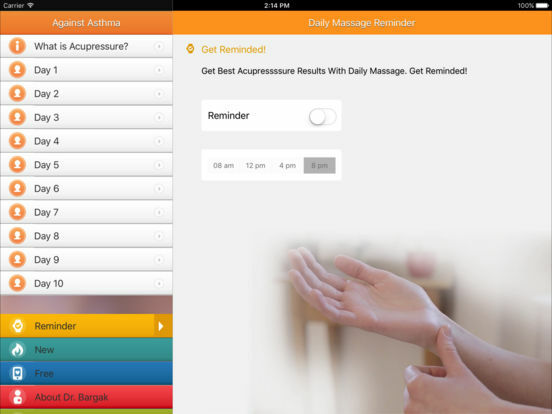 √ The app reminds you automatically of your massage appointments. 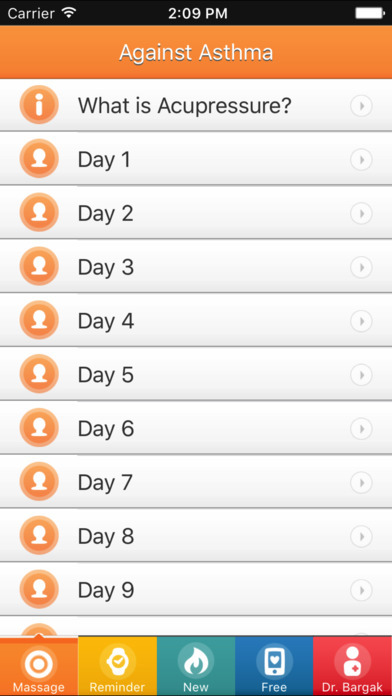 "With the App, I could significantly relieve my asthma within MINUTES after the start of the self-treatment! A couple of days into the treatment I stopped having asthma attacks and never looked back since! No cough, no shortness of breath, finally! The points are easy to find using the videos. I am so happy to have the App always on me, on my iPhone and iPad. Thanks, Dr. Bargak!" For a price of a cup of coffee, you get a proven Anti-Asthma-Helper for ever with free lifelong updates containing more massage points. If you are dissatisfied with the product, let me know and you will get your money worth back. Are you interested in more massage points? Share it on my Facebook page and get people interested. The larger the following, the faster you will get the update of the app. Free. Allergy Acupressure Self-Treatment Massage Points! Beauty Massage - Best Skin Acupressure Points! Ease Through Menopause - Relief Massage Points! Emergency First Aid - Acupressure Massage Points! 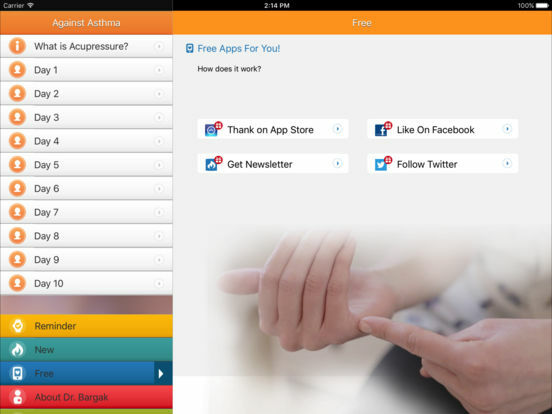 Everyday Health with Acupressure - Daily Massage! Get Rid Of Depression with Acupressure Massage! Natural First Aid Travel Kit: Pain Relief Massage! NO Back Pain - Instant Acupressure Self-Treatment! NO Headache - Instant Acupressure Massage Points! Stop Anxiety Attacks Instantly With Acupressure!